There’s some good news for fans of the Raspberry Pi: as the tiny, single-board computer celebrates its fourth anniversary, a new version of the device has just gone on sale today. Available for just $35 – the same price as its predecessor - the Raspberry Pi 3 Model B is said to carry out most tasks about 50 - 60 percent faster than the Pi 2, and it comes with some impressive new hardware. The Pi 3 marks the second major upgrade to the board in just over a year and is the first to feature built-in wireless capabilities. In previous versions of the Pi, USB adapters were required if you wanted Wi-Fi and Bluetooth connectivity, but the Pi 3 supports Bluetooth 4.0 and 802.11 a/b/g/n Wi-Fi (2.4GHz only). 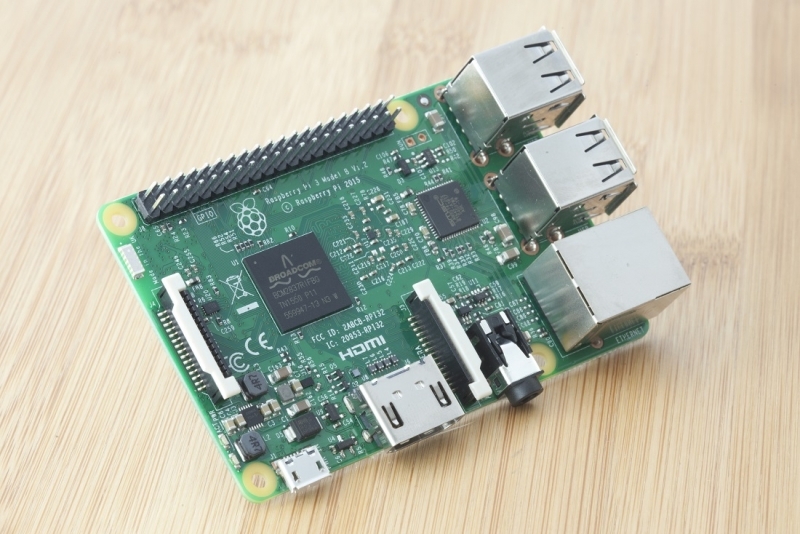 Another upgrade from the Pi 2 comes in the form of a 64-bit quad-core ARM Cortex-A53 CPU, running at 1.2GHz. The Pi 3’s processor is a pretty big jump from the previous version’s 32-bit 900Hmz Cortex-A7. "Our primary goal in moving to A53 from A7 was to get a better 32-bit core," the board’s co-creator, Eben Upton, told Engadget. "A53 running in 32-bit mode outperforms A7 at the same clock speed by 20-30 percent." The Pi 3 keeps the same dimensions as its predecessor and retains the HDMI port, Ethernet, MicroSD, and four USB ports. It uses a 400MHz Broadcom VideoCore IV 3D graphics processor, rather than the Pi 2’s 250MHz version. 1080p video support goes up to 60fps from 30fps, and H.265 support is also introduced, but this is limited to 1080p at 30fps. Upton pointed out that while the Pi 3 supported 64-bit operating systems, the device will ship with a 32-bit version of the Noobs OS. “We're going to wait until someone can demonstrate a concrete benefit to going to 64-bit before we make that our standard,” he said. The Pi 3’s hardware upgrades make it “more credible as a PC replacement,” according to Upton. The Pi foundation is putting a strong focus on the IoT with its new device, announcing at a launch event that it has worked closely with Microsoft to ensure compatibility between the Pi 3 and Windows 10 IoT. “A few hundred thousand” Raspberry Pi 3 boards are going on sale today.